Hey, making massively multiplayer online games is difficult. Sometimes things slip through the cracks. But that doesn't mean we can't poke fun at EVE Online when it accidentally snatches the totally wrong texture from the hard-drive. 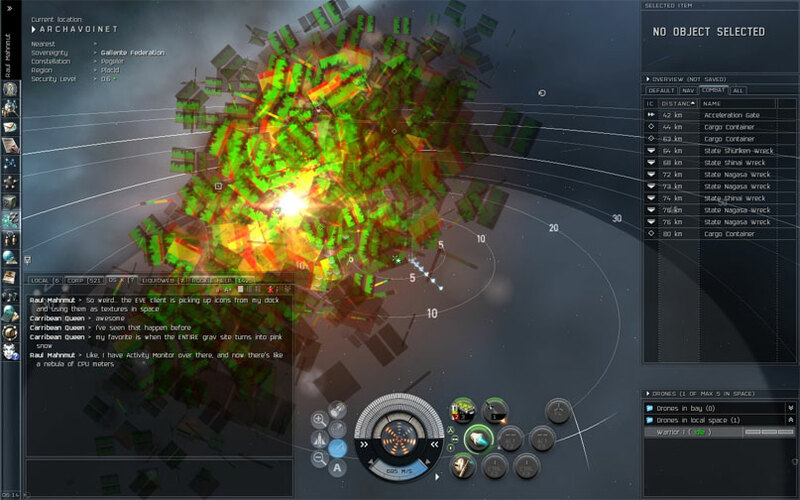 Seems EVE Online likes to grab images of the Mac OS X CPU monitor occasionally and send them into space. That giant gas cloud is a pretty good indicator of what's going on in your Activity Monitor utility at any given time. Handy, maybe, but causes serious interference with suspension of disbelief.